How are you cooking up your garden goodies? Greenish Thumb is hosting a Garden to Table Challenge. Check out what other bloggers are cooking. Here's what we are cooking this week. I finally cooked up those potatoes I dug up. We grew these beautiful Yukon Gold potatoes and I knew I wanted to make mashed potatoes. The color of these potatoes are golden and so yummy looking. Totally simple and completely delicious. A little bit of milk, butter, salt and pepper. Yukon Golds have a buttery taste already, so you don't need to add much. The flavor is outstanding! 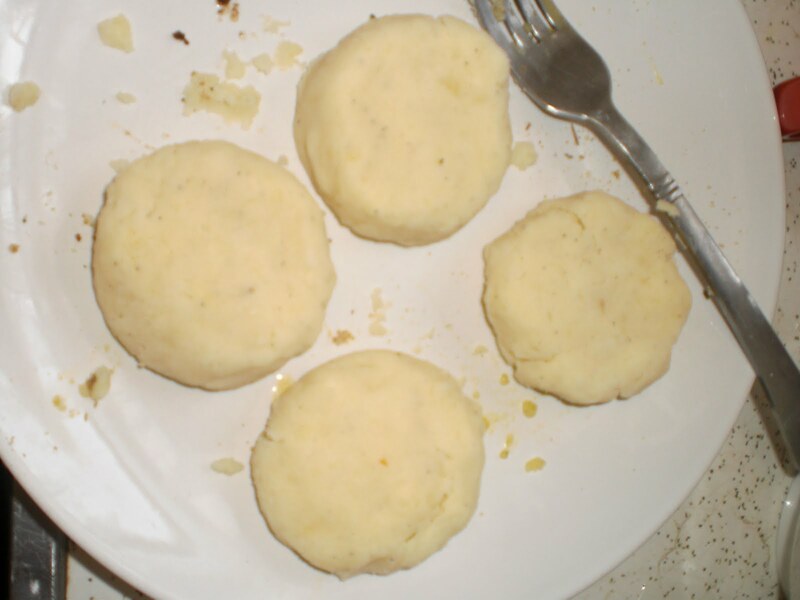 We had a lot of left over mashed potatoes so the following day, I made croquettes. To make potato croquettes, you take the mashed potato, roll it into balls and flatten them into discs. It's not necessary to flatten them if you like round croquettes. 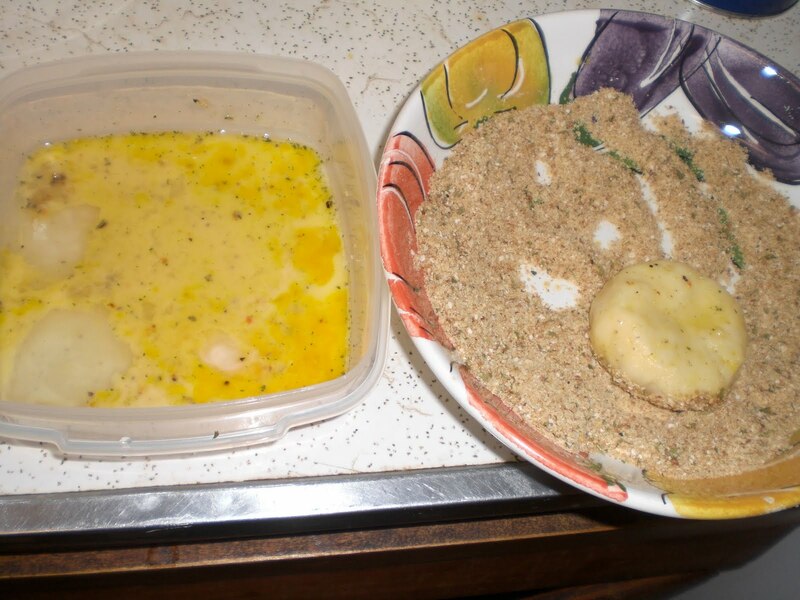 Dip into egg, and then some seasoned bread crumbs. 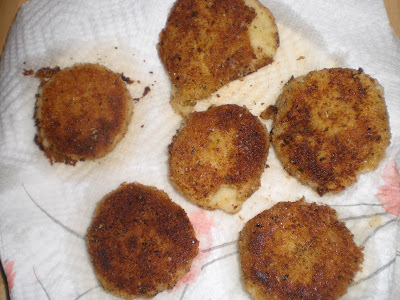 Note: I sometimes add cheese in the middle of these croquettes, it is divine! Cook in a skillet with some vegetable oil until golden brown. No leftovers this time around! The croquettes look yummy no wonder you have no leftovers. yuuuummy!I love yukon gold potatoes. The croquettes look delicious. I may save some space for potatoes next year! I just say a tip one some food network show I thought was really good. The host incorporated some of the hot liquid (milk or whatever you use)into the potatoes, but then saved some and just added it to the pot of mashed potatoes, and covered it. 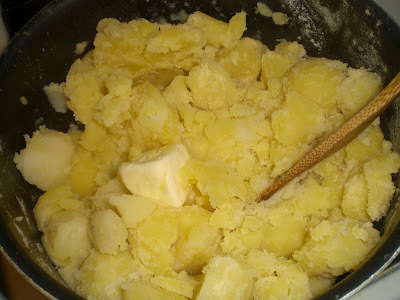 Then, when guests arrive and it's time to serve the potatoes, mix the liquid in just before serving. This will prevent the potatoes from turning into a giant brick by the time people are ready to eat. I thought it was a great tip. How yummy. I've never thought to do the bread crumbs on the fried leftover potatoes. Good idea. I'll have to try it. I'm impressed you grew potatoes. I came over from Greenish Thumb. I just joined as a Follower. Would love for you to follow me too. You could get me to 50 Followers. Lame...yes, but I still get excited when I get a new follower. I am also impressed you were able to grow potatoes. The potatoe pics are making me hungry. Both ways look delicous. Way to go on growing your own. 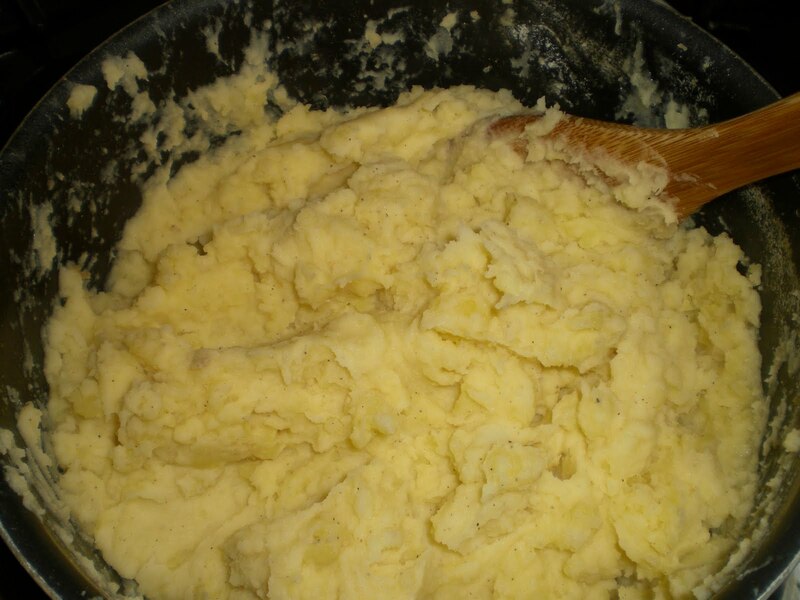 What a great idea for leftover mashed potatoes! I will have to try it. Yum! I want to try these when I dig up my spuds. I hope I have a decent enough amount to make this recipe!